Non-destructive testing methods test mechanical and other properties without permanently altering the subject, which saves time and money in product evaluation. Well, afronova, there is now. And so begins a three-part series on nine methods of non-destructive material testing. In part one, we discuss radiographic testing, ultrasonic testing and magnetic particle inspection. Radiographic testing is often used to inspect assembled components and to find flaws in complex structures. It uses short wavelength electromagnetic radiation in the form of high-energy photons to penetrate materials and inspect for hidden flaws. Neutron radiographic testing uses neutrons in the place of photons. Neutron radiation can pass easily through lead or steel but is stopped by plastics, water and oils. When radiation directed through the material hits a defect, it scatters. Variations in the radiation exiting the opposite side of the material thus allow quality professionals to identify the location of defects as well as determine the thickness and composition of the material. 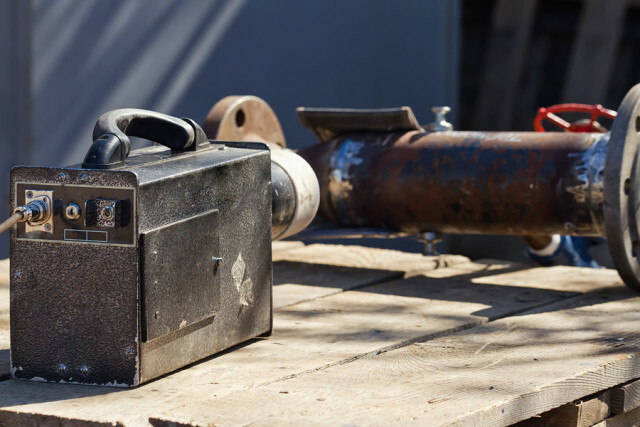 Ultrasonic testing is used to detect defects in materials of any shape or type so long as they have smooth surfaces. 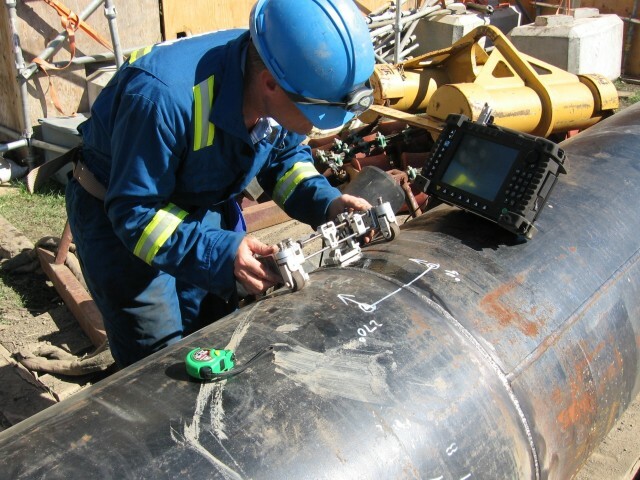 Ultrasonic testing uses a transducer connected to a diagnostic machine to send vibrations/sound waves through a material. The apparatus is passed over the object being inspected. This often requires the use of a couplant (like oil or water) to connect the transducer and the object, which decreases inaccuracies and false readings in the results. There are two methods of receiving the signal. First is ‘reflection’, where the transducer can both send and receive the signal. The other is ‘attenuation’, where the transmitter sends ultrasound through one surface and a separate receiver detects the amount that reaches the other side through the medium. Any decrease in the sound detected is caused by defects. Magnetic particle inspection is commonly used outdoors and at remote locations for detecting surface and subsurface defects. It is based on the concept of magnetic flux leakage. Magnetic flux leakage occurs when an additional north and south pole are created by a crack in a magnet. At the crack, the magnetic field bulges to form a ‘leakage’. In magnetic particle inspection, a part is magnetized either directly or indirectly. 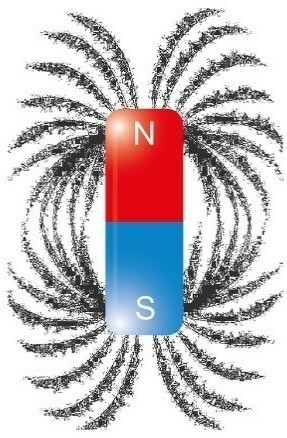 Direct magnetization occurs when an electric current is passed through the test object and a magnetic field forms in the material. Indirect magnetization does not involve a current applied to the material but occurs when a magnetic field is applied from an outside source. Since iron particles concentrate along magnetic field lines, when they are applied to the magnetized part they will cluster around a leakage. The above three methods have different uses and require different amounts of training to complete but all will leave your part just as you found it. In part two we discuss dye penetrant inspection, eddy current testing and thermographic inspection. In part three we discuss leak testing, guided wave testing and visual testing.